If you have to go without gluten but want to maintain the texture of popular foods that contain this sticky protein, you are forced to use substitutes containing extra sugar, extra fat, hydroxypropyl methyl cellulose and xanthan gum, none of which are all that great from an overall health perspective. Given that, opting for a gluten-free diet makes little sense unless it's necessary. Celiac disease is, of course, a different issue, and quite a serious one. People with it simply can’t eat the gluten protein found in some grains. Though only about one percent of people have celiac disease, almost 20 percent of Americans now claim to worry about gluten, and for that we can blame books like Grain Brain and Wheat Belly and entertainment programs like The Dr. Oz Show. There’s been some backlash from the public who regard gluten-free as a fad. The desire for substitutes to gluten has has even driven couples apart, according to one commenter in the offices of the American Council of Science and Health. Fortunately those people won’t have to find a substitute for love any more. For less than the price of a gluten-free latte, a new website is making it possible for those with gluten-free values to mingle without anyone being all judgey about it. 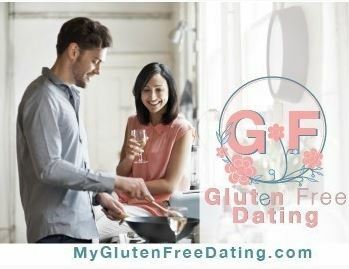 MyGlutenFreeDating.com is designed to reduce the social pressure people face if they don’t want to be exposed to gluten and don’t want to dine alone. Since gluten sensitivity is undefined, and 75 percent of people who claim to be gluten sensitive had no actual physical reaction to gluten in a study (and in a different study 50 of 59 subjects who claimed to be gluten sensitive were as sensitive to a placebo), how will the site know if the suffering is real or just a way to date someone without getting tripped up juggling romance with followers of other diets on Match.com? It’s unclear, but when people are paying 240 percent more for food, it’s safe to bet they will pay a tiny fee for love.